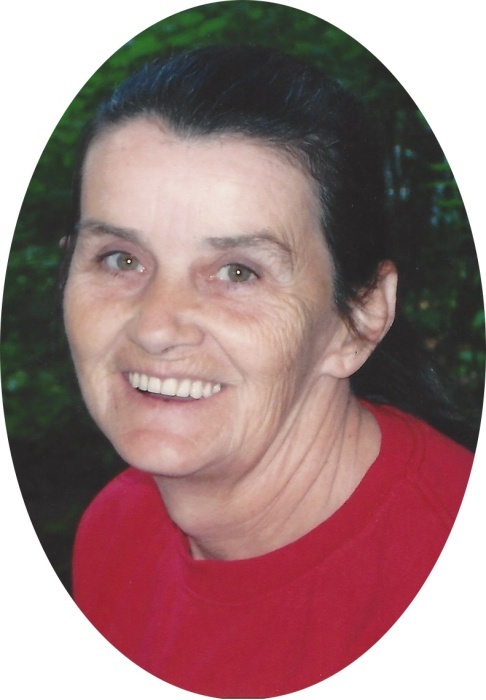 Mrs. Debra Kay Sowder Prewitt, age 63 of Mount Vernon, passed away peacefully at her home on Friday, November 16, 2018. Debra was born November 25, 1954, at her home in Rockcastle County, a daughter of the late Ulysis “Less” Sowder, and the late Betty Sue Taylor Sowder. On ­­­­­­­­­­­­­­­­­­­May 21, 1971 she was united in marriage to her husband, Jimmy Prewitt, and from that marriage came 5 children. Debra was a Christian, loved fishing, looking at flowers and spending time with her dogs, and enjoying a cup of Maxwell House Coffee with Jimmy on the front porch. Those left to celebrate her life are her husband: Jimmy Prewitt; her children: Kenneth Melvin Prewitt and Charish of Garfield, KY, Betty Rose Payne and Courtney of Brodhead, KY; a mother-in-law of 47 years: Rosa Prewitt; her siblings: Danny Ray Sowder of Livingston, KY, Ricky Sowder and Sandy of Pinehill, KY, Gary Sowder of Pinehill, KY, Deloris Sowder of Mount Vernon, KY, Connie Payne and Paul of Pinehill, KY, Barbara Dooley and George of Mount Vernon, KY, and a brother-in-law Bobby Bond of Pinehill, KY; 6 grandchildren: Matthew Tyler Prewitt, Ethan Skyler Prewitt, Noah Wyler Prewitt, Aaron Blake Mullins, Sadee Cheyanne Payne, and Mason Brodee Payne; a special care taker Teresa “Tess” Bush, as well as a host of many nieces, nephews, friends, and neighbors. Besides her parents, Ulysis and Betty Sowder, she was preceded in death by two sisters: Bonnie Sowder, infant, and Linda Bond; a brother Randall Sowder; her maternal grandparents Bill and Julie Taylor; her paternal grandparents Lela and Bob Sowder; 3 infant children: Jo Ann Prewitt, James Douglas Prewitt, and Leslie Lee Prewitt; and a father-in-law: Joyce Prewitt. Services for Mrs. Prewitt were conducted on Monday, November 19, 2018 beginning with the visitation from 11:00 am -1:00 pm at the Marvin E. Owens Home for Funerals followed by the funeral at 1:00 pm at the Marvin E. Owens Home for Funerals Chapel with Bro. Chris Davidson officiating. Burial followed in the Raspberry Cemetery. Casket bearers were Derrick Payne, Tommy Scott, Dallas Clifford, Perry Mink, Gary Prewitt, and Eddie Cromer. Honorary casket bearers are Charles Shepherd, Jerry Mullins, Toddy Payne, Charles Rader, Chris Griffin, Carl “Bo” Griffin, Lloyd Prewitt, and George Dooley.